MINIMUM ORDER AMOUNT IS $10. We will not ship orders totaling less than $10 in merchandise. 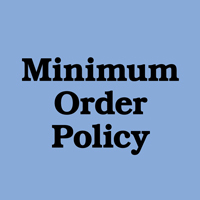 If your order does not meet the minimum, we contact you to make the appropriate adjustments to your order. 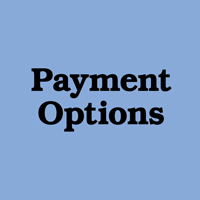 OUR ONLINE PAYMENT OPTION IS PAYPAL. If you have any problems with the Paypal Cart, or do not wish to utilize Paypal, we can accommodate phone ordering with VISA, MasterCard or Discover.